High performing organisations don’t try to accelerate throughput or velocity. But we can only accelerate learning if we learn to measure what matters. In any Lean or Agile project, we aim to deliver features that make a difference, through an incremental process of learning and discovery. But we can only learn and discover if we can measure the results of what we do. This highly interactive 3-day workshop will teach you how to define measurable outcomes and choose relevant and quantifiable metrics that can both guide your projects and make your teams more creative and more engaged. And deliver software that delights your users and makes a difference, sooner. Identifying the right measures, and knowing what to do with them, is key to any continuous improvement initiative. It is also a cornerstone of Lean Enterprise strategic planning. But it is notoriously difficult to know exactly what to measure, and how to measure it. High level goals can seem intangible or immeasurable, and we often mistake measuring effort for actual results. What’s worse, using metrics and KPIs incorrectly, or using the wrong measures, can stifle creativity and innovation, demoralise teams, and lead to the exact opposite of the outcomes we want to achieve. We give you a simple, step-by-step process to identify the metrics that matter, and use them to accelerate your team’s learning and throughput. Drawing on learnings from Lean Enterprise, Toyota’s Improvement Kata, and Performance Measurement, and building on well-established Agile practices such as Impact Mapping, this workshop will take your team to new levels of performance and engagement. You will learn how to avoid the common pitfalls of metrics and KPIs, and use them as a tool to improve your delivery process and deliver features that matter sooner. When teams understand that metrics are being used to help them achieve their goals, and not to judge their individual performance, buy-in and engagement becomes much easier to obtain. This workshop teaches a practical and systematic approach to measurements and metrics, that can be used from strategic portfolio management right down to tactical product management at the release or iteration level. The workshop will take you through the seven stages of the Accelerated Delivery through Measurable Outcomes process. Learn how to express goals clearly, in terms of measurable outcomes, and avoid common pitfalls that hinder communication and engagement. We look at strategic and tactical goals, and learn how different goals have different audiences and different purposes. We judge goals by the impact they make and the outcomes they enable. Learn how to use engaging, collaborative techniques such as Impact Mapping to agree on the impacts and outcomes that should result from your goals. To understand a goal, we need to understand what this impact would look like. Learn how to quantify the outcomes of a goal in terms of tangible evidence that it has been achieved. 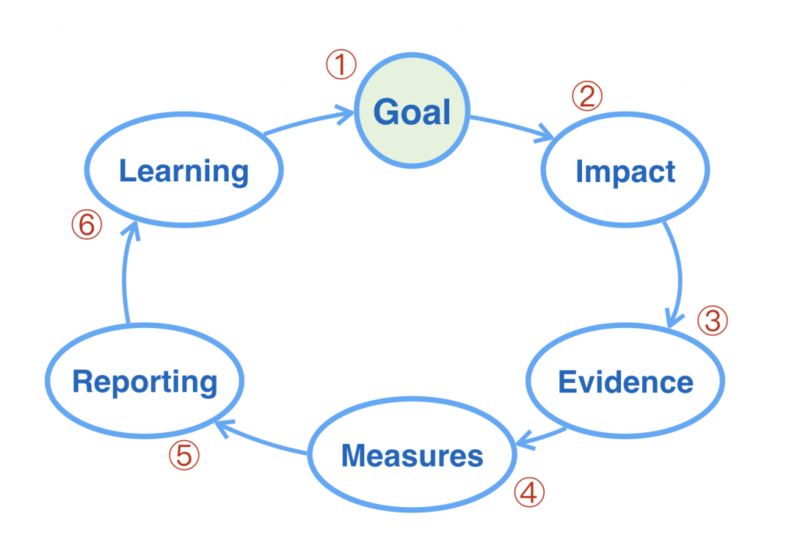 Discover how to use this evidence to design meaningful measures and metrics. We also look at how to avoid common metrics pitfalls and traps, and how to get teams engaged and motivated in the measurement process. Measures are only as valuable as the decisions they allow us to make. Discover how you can ensure that the data you get from your metrics is clear, and actionable. Once you start to collect metrics, you need to know what to do with them, Learn the statistical methods you need to interpret patterns and variability in your results, and to know what to do with them. The third day of the workshop is where participants apply what they have learnt to develop their own measures, on their own real-world projects. Get in touch today to learn more or to organise a workshop for your team! Get in touch today to bring this workshop to your organisation!